Public Access to Beach! 3 Weeks Left in June to July! Book Summer Now! Gulfview house south of 30-A with beautiful dunes directly in front of house. You can hear and see the Gulf from the house. The house is only 100 steps away from the white 'squeaky' sands and emerald colored waters of the Gulf of Mexico. Dead-end road in residential area gives you a quiet beach retreat with star-filled nights. The 800sq ft of wrap around porches and screened porch provide a great setting for this roomy house. The first floor has a large wrap around covered porch. The living,well stocked kitchen, and the downstairs master bedroom with a queen bed and bath is on the first floor. The second floor has the master with a huge walkout balcony with king size bed and masterbath with jacuzzi and shower. The second bedroom upstairs has two full size beds with private balcony with private access to the bathroom. The third bedroom upstairs is a bunkroom with 4 bunks that are extra-long twins. Parking for 6 cars. Pet friendly for small dogs. Ramp at rear of house and 3 ft. wide doors for downstairs bedroom, bath, and living areas for WHEELCHAIR ACCESS. HIGHSPEED INTERNET. SATURDAY TO SATURDAY RENTAL. I love the water and the beach. Surf fishing or just walking on the beach is a favorite of mine. I like laying on the hammock on the porch with the gulf breeze blowing in my face. I never want to leave the house when I am on the hammock. I also enjoy morning coffee on the front porch listening to the waves. The screened porch is an excellent place to enjoy lunch. Sunset is always an important time of day to go outside on the large master suite with family or friends and enjoy looking at the gulf and watch the sun go down. Love the area. Beautiful beach and water. Quiet and serene. Not your typical rental. Well stocked kitchen and a house to remember. 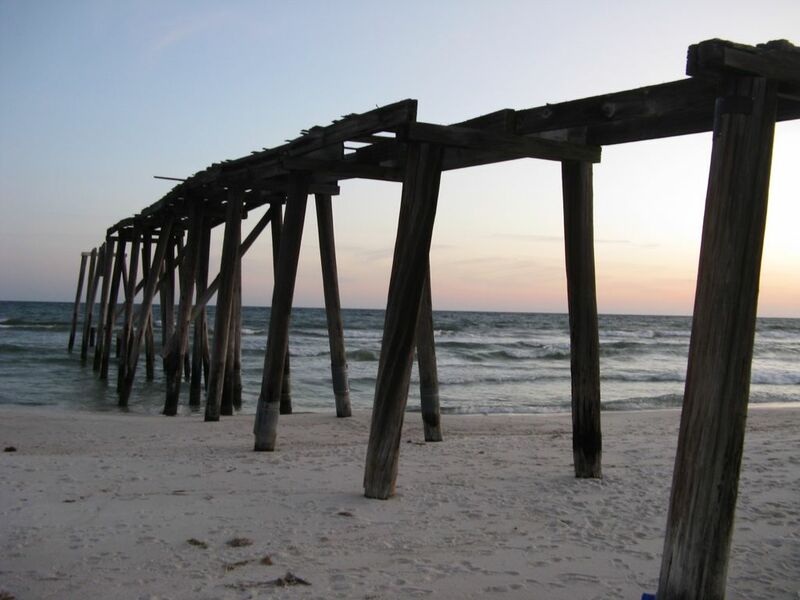 Located at the end of 30-A which has less traffic problems or congestion. Kids can bike or walk in a safe neighborhood. Near dining and shopping. 100 yards to beach with a view from the second floor of house and you can hear the waves crashing! Ramp for entry to rear of house.